La Guerra De Los Luchadores, a photo by Manly Art on Flickr. 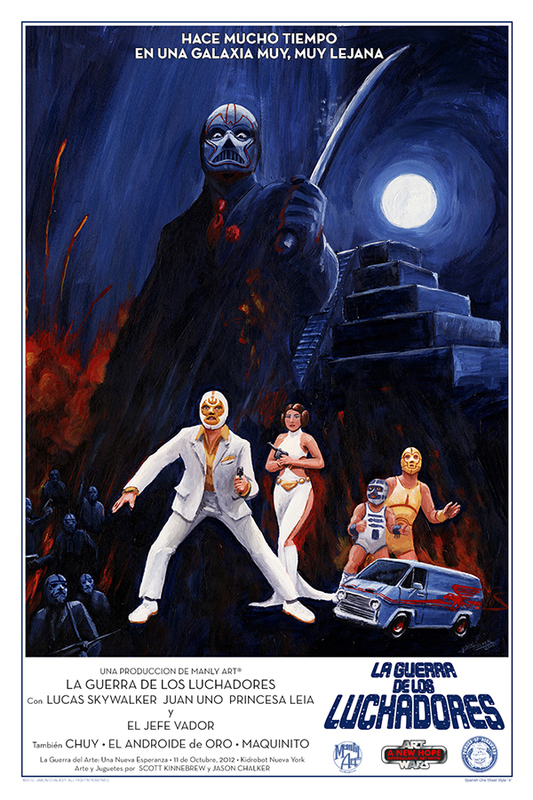 Here is the answer to the question: "I wonder what it would have been like if Star Wars was originally a low-budget Mexican luchador movie?" This is my show print for the Art Wars: Intergalactic Art Show I'm having with Scott Kinnebrew. It's a one night only show October 11th from 6-10 at Kidrobot NY. I hope to see you there! 12"x18" Giclée print. $40 each. **Holy crap! 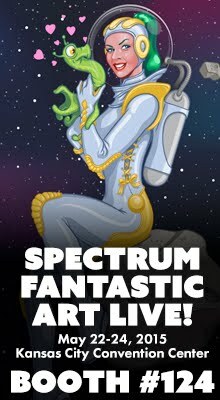 This got featured on io9!! ***Hey folks! Prints will be available in my online shop after I return from New York Comic-Con, so bookmark my blog and I will make an announcement as soon as they're in the store! ***The remaining show prints are available in my online store. Get 'em while they're hot! I want to order one without having to go to damn New York. I will have them in my online store after I get back from New York Comic-Con. Bookmark my blog. I'll announce it. Can we get shirts too? I would wear the hell out of that. Any chance you could do a full poster size? The Prints through manly arts are sold out. Any chance you will be printing and selling more? Day of the Businessmen Print!